If there's one thing I've learned this quarter, it's that six hours of sleep and chronic coffee consumption does not healthy skin make! Thanks to a busy-bee schedule (and allergy season on its way), my skin's been through some ups and downs. Due to the aforementioned circumstances and the ingredient-sensitive nature of my skin, optimizing my skincare routine can be a challenge! 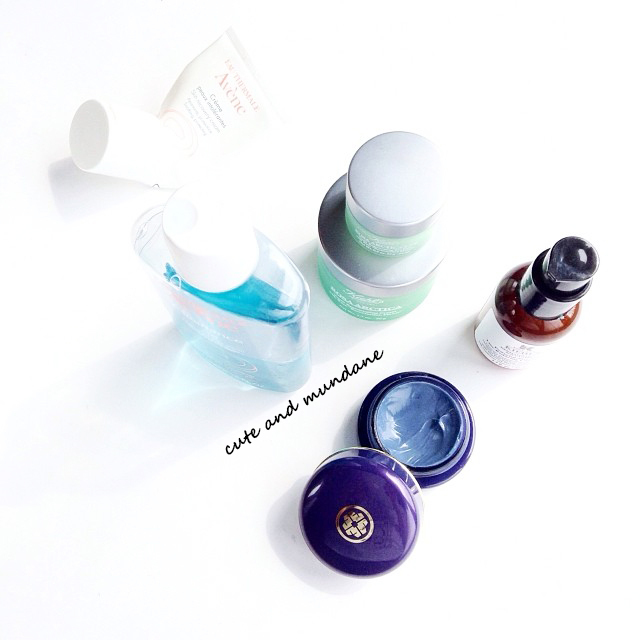 Thankfully, I've managed to accumulate a handful of skincare products that seem to work well for me --- and thought it would be fun to share them with you today! This has been my holy grail cleanser for a few years now. The gel formula gives a deep clean without drying (or using salicylic acids which I can be sensitive to). 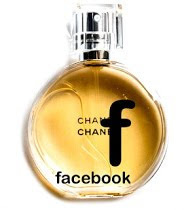 Plus, I love the gentle thermal water scent! I'll admit it: I'm fond of the sea-glass green jars. Aside from the aesthetics, I've been having good luck with the Rosa Arctica formula on my skin thus far. The ingredient list is a bit more extensive than with Avène products, but it works well for me when my skin is relatively calm and on the dry side. I like the thicker, somewhat balmy feel, and how well it locks in moisture. Like a number of people with 'ethnic' skin, I tend to scar and develop hyperpigmentation quite easily. Vitamin C products tend to work really well for me when it comes to evening out my skintone over time. I acquired a brand new bottle of Kiehl's Vitamin C concentrate and have been loving it thus far! This is a new discovery of mine, thanks to Tatcha. I like to use this as a calming night-time treatment for when my skin is under some duress. I'm still tickled by the indigo-tinted formula and the gorgeous packaging! Thanks for reading! What skincare products have you been loving lately? Have you tried anything from Avène, Kiehl's, or Tatcha? Judging from the number of times CHANEL Double Perfection Lumière compact in B20 has been featured on Cute and Mundane, I think it's high time that I gave it its own review! 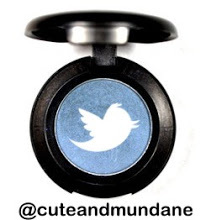 I purchased the compact last year, to add the efficiency of a powder foundation to my early morning routine. It's become a staple since then! I have really ingredient-sensitive skin, so finding foundations that don't cause hives or breakouts is a tall (and sometimes seemingly impossible) order. Thankfully I've had luck with CHANEL formulations, including both the liquid foundation CHANEL Perfection Lumière (click for my review) and the powder compact CHANEL Double Perfection Lumiére. The texture of CHANEL Double Perfection Lumière compact foundation is smooth and tends to be on the dry side. As with most matte powders, it highlights patches of dry skin, so proper exfoliation and moisturization beforehand is a must! Typically, I apply it dry using the included oval sponge; I prefer the sponge over any of my kabuki or powder brushes, since it gives more coverage and wastes less product! CHANEL Double Perfection Lumière provides medium coverage. 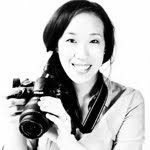 I doubt I could ever get full coverage of blemishes; it's more for everyday wear than for "picture perfection". That said, it's significantly more opaque than the CHANEL Poudre Universelle finishing powders. If I'm looking for full coverage, I like to pair my liquid CHANEL Perfection Lumière with Double Perfection Lumière as a finishing powder (using a fluffy brush). I really love how well CHANEL foundations wear over the course of a day. The color seems to improve with time, which I find to be the mark of a high quality foundation. (It drives me nuts when foundations darken to yellow or orange). The CHANEL 'Beige' series has just enough yellow in it to even out the pink in my skin (see below) while still appearing natural. I've made a few comparison swatches of my equivalent CHANEL foundation products below. 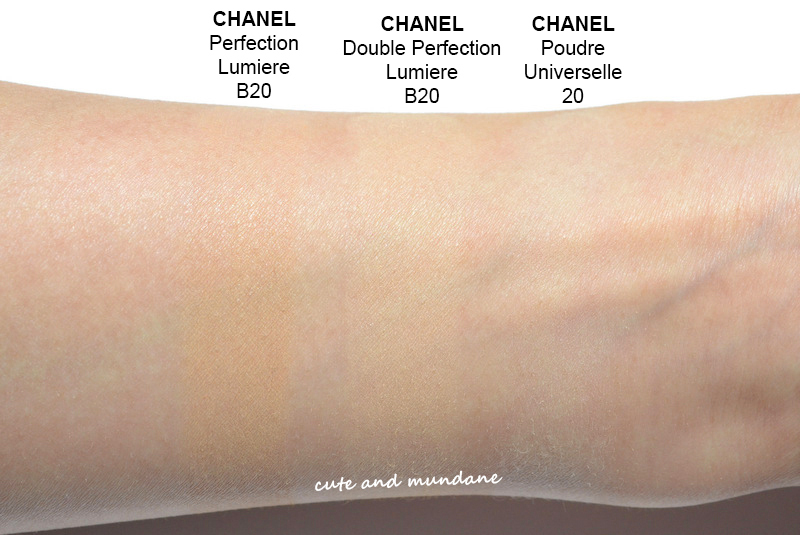 You can see that CHANEL Perfection Lumière (the liquid) in B20 is a more peachy, while CHANEL Double Perfection Lumière (the powder) in B20 is slightly lighter and more yellow toned. My CHANEL Poudre Universelle Compacte in 20 is much lighter and sheer. You can barely see it, even though I've swatched it heavily! Overall, it's love. I'm incredibly fond of my CHANEL Double Perfection Lumière compact and plan on repurchasing it when it runs empty! 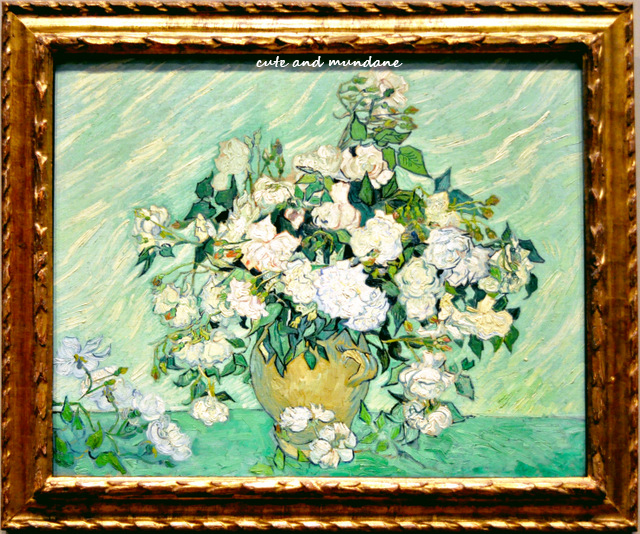 The texture, color, and ease of use make it an essential in my collection. Most importantly, I love that it's a powder foundation that agrees with my skin! Thanks for reading! Have you tried CHANEL Double Perfection Lumiere? Do you have any CHANEL foundations in your collections? What are your favorite powder foundations? Whew, it's been a busy week, both beauty and work-wise! 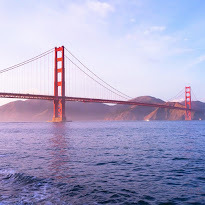 I'm still getting used to 4:30am starts (not sure I'll ever get completely adjusted!) And of course, there's the Sephora VIB sale that's going on this week. I've been writing and re-writing my wish list... maybe I'll treat myself to a little NARS, some skincare, and maybe a new scent? In terms of color, I've been going green for the past few weeks, layering shades of mint, grass, and leaves in my wardrobe. There's something wonderful about verdant shades when you're ready to hit the refresh button! My most recent pick-me-up has been Butter London Sozzled nail polish, from the new Lolly Brights collection, thanks to Butter London. 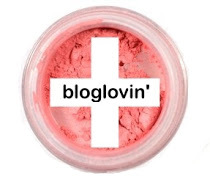 From the promo photos and collection name, I had expected Butter London Sozzled to be a neon green. I was pleasantly surprised by the creme clover green that arrived! 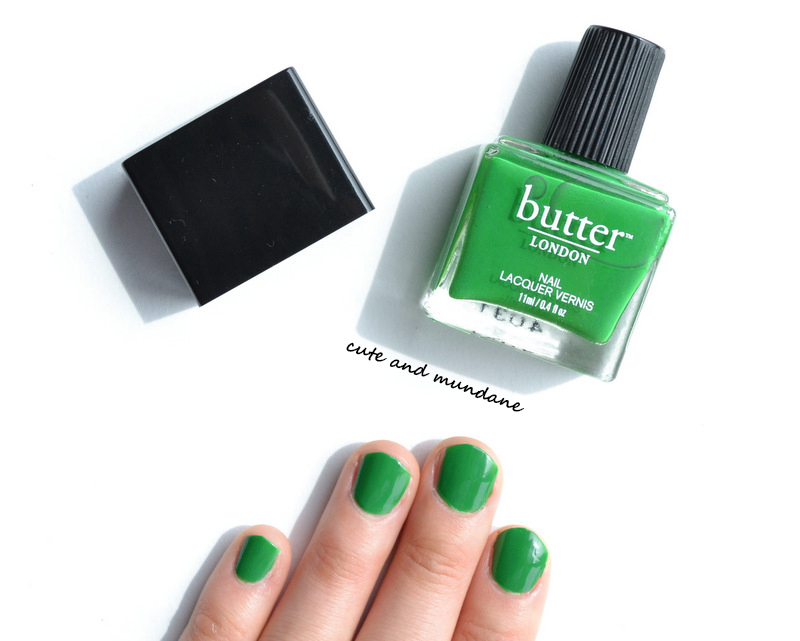 You can see my comparison swatches between Butter London Sozzled and other greens from my collection below. 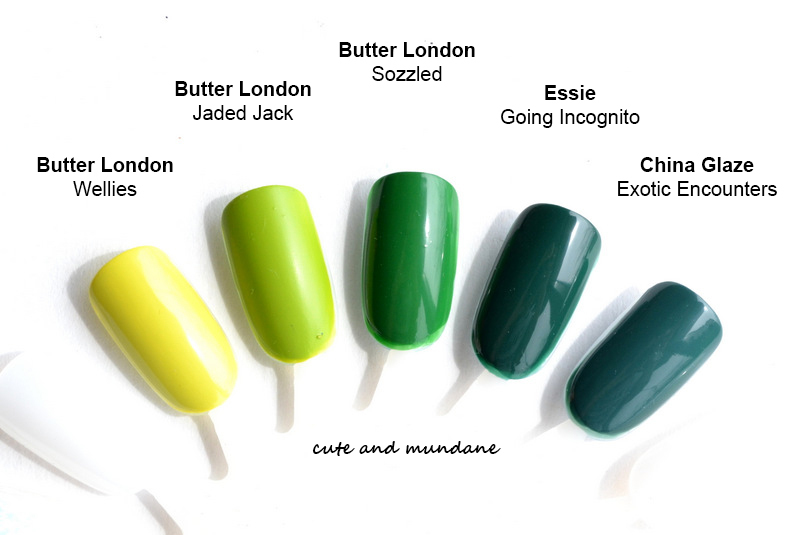 Butter London Wellies (click for review) and Butter London Jaded Jack (click for review) are much lighter yellow greens. Essie Going Incognito is a darker hunter green. China Glaze Exotic Encounters (click for review) is darker and has more blue tones. Overall, Butter London Sozzled is a lively creme for the upcoming season. 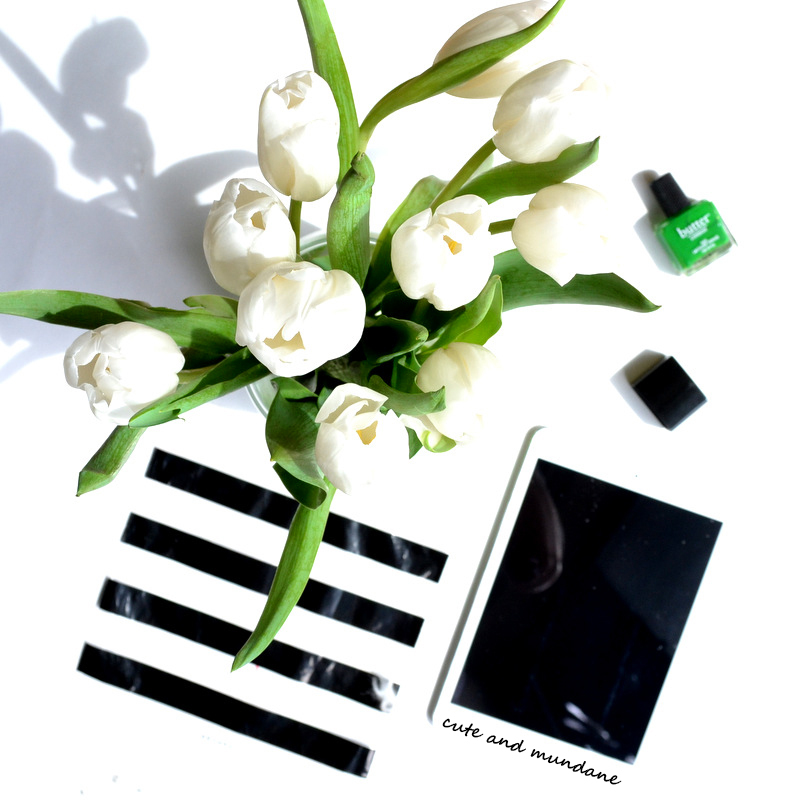 It coordinates nicely with the other varied greens in my wardrobe, as well as adding a dash of moxie to my monochrome work wear!